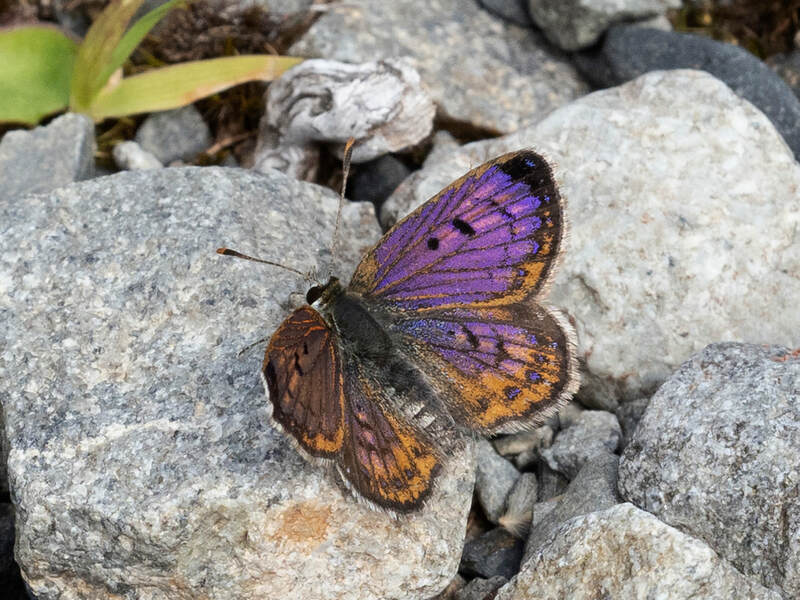 A native Butterfly that is one of New Zealand's smallest butterflies running a close second to the Southern Blue. 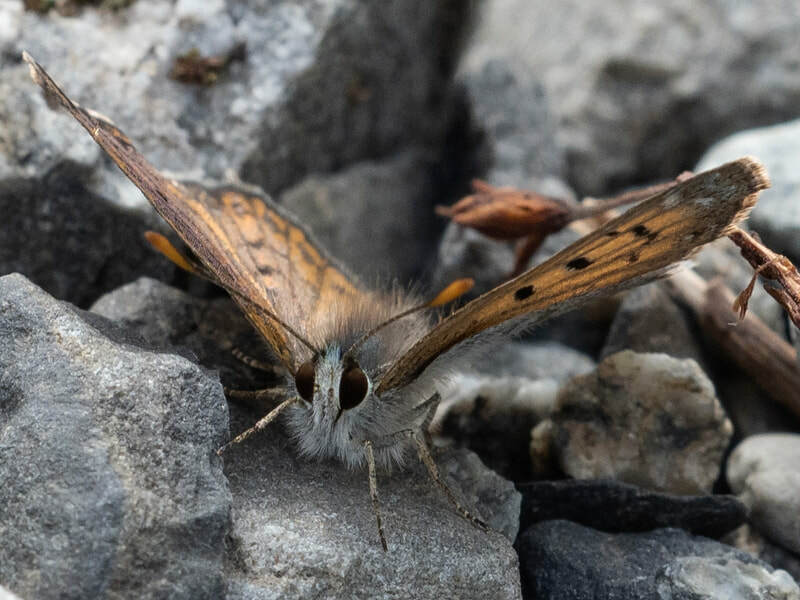 The Boulder Copper butterfly is certainly the smallest Copper, add its small size and flight close to the ground, it becomes a very overlooked Butterfly, even when they are in plentiful supply. 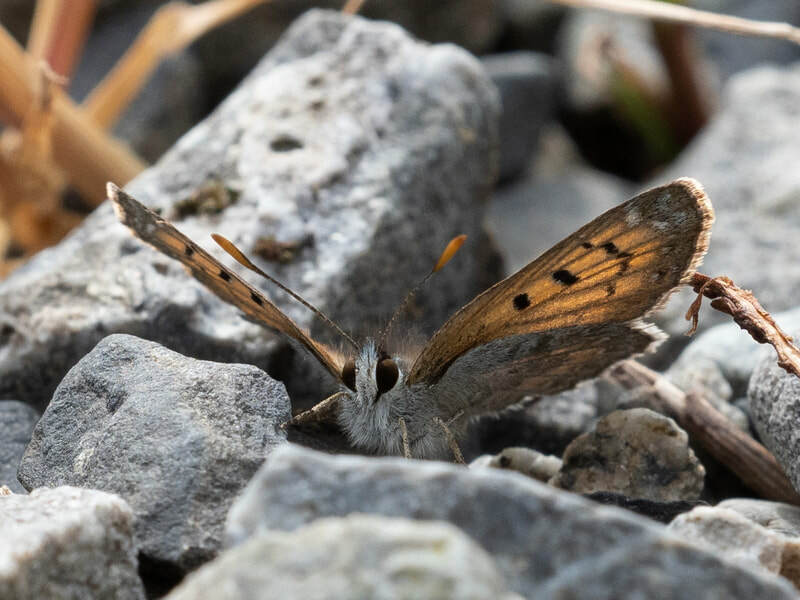 To see them, it is best to look for them along a river or gravel path on a sunny day when they rest with their wings open showing their bright colours, otherwise they become almost invisible when they close their wings. The male has a striking purple, whereas the female is more like the average Copper colour. 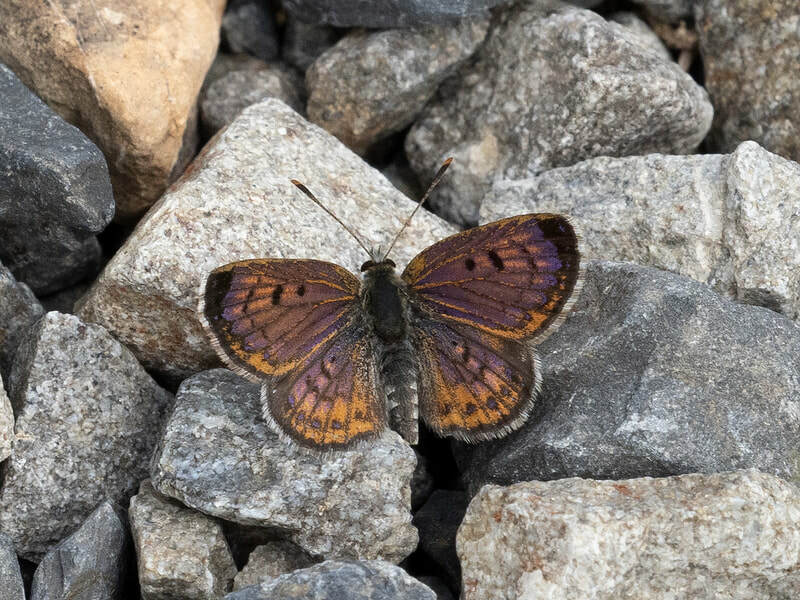 It was split from the genus Lycaena in 1995 after much ongoing discussion regarding it's status for many years. 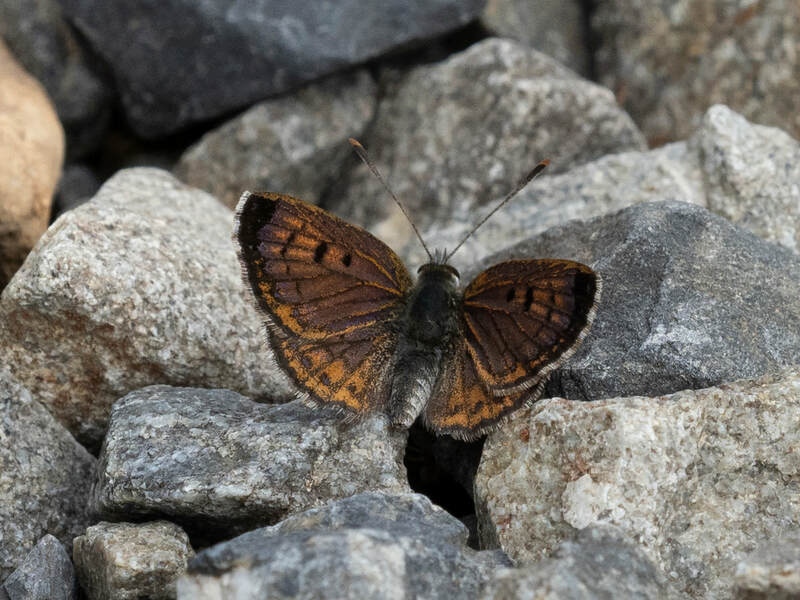 Like the Glade and	Rauparaha's Copper, the Boulder Copper doesn't travel much more the 10-50 metres from areas of the larval foodplant. All the coppers are suffering from Wasp predation, especially paper wasps, as they are a good source of protein for the wasp's developing larvae. Attracting Boulder Coppers to your garden is fairly easy, just grow some Creeping Pohuehue (Muehlenbeckia axillaris) in a rock garden including local stones or shingle as they will land on this to sunbathe. The Boulder Copper butterfly (Lycaena boldenarum) is one of New Zealand’s smallest butterflies, with a wingspan of 1 centimetre and a significantly camouflaged underside. The depth of colour varies according to the habitat. 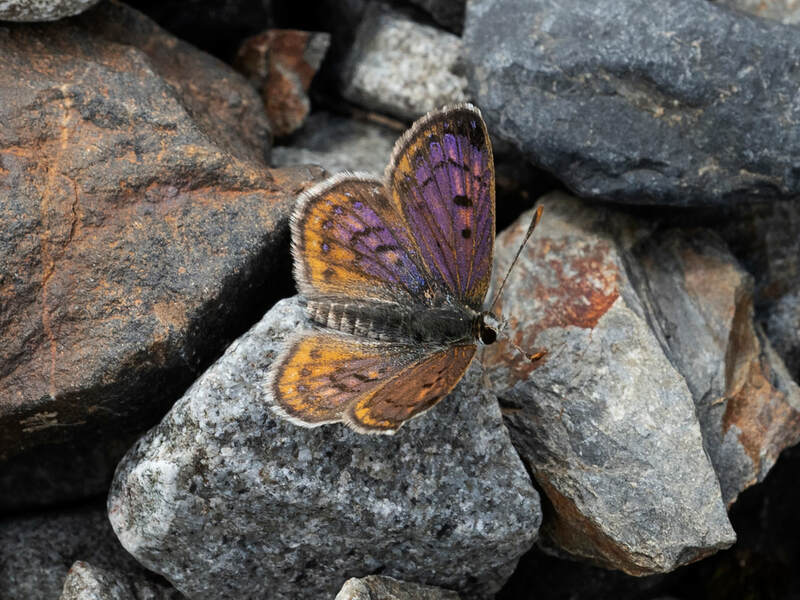 Although this species is classed as a copper butterfly, males have an almost purple, iridescent lustre on their wings.